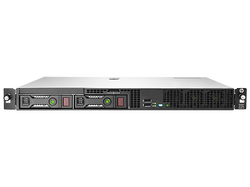 HP Proliant DL320e 2Bay for HDDs/ (1) Intel® Xeon® E3-1220v3 (3.1GHz/4-core/8MB/80W, HT)Processor /2 LFF (3.5inch) Hot Plug SATA/500 GB NHP LFF SATA/ 4GB/ HP Smart Array B120i SATA RAID Controller/1-Port Ethernet Server Adapter (x2)/ PCIe G2 Full length, full height (x1) PCIe G2 Half height, low profile (x1)/ HP iLO (Firmware: HP iLO 4)/ 1 Yrs Onsite Additional 2 Onsite Year Care Pack Upgrade. Other models available, Please call for best pricing. 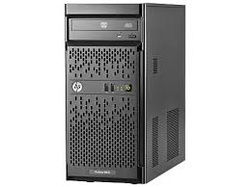 HP Proliant DL310e 4Bay for HDDs/ (1) Intel® Xeon® E3-1240v3 (3.4GHz/4-core/8MB/80W,)Processor /4 LFF (3.5inch) Hot Plug SATA/500 GB HOT PLUG LFF SATA/ 8GB DDRe Memory (4DIMM Slot)/ HP Dynamic Smart Array B120i SATA RAID Controller/DVD Writer /HP Ethernet 1GB 2-Port 332i Server Adapter/ PCIe G2 Full length, full height (x4)/ HP iLO (Firmware: HP iLO 4)/ 3 Yrs Onsite.